”A personal and powerful essay from Chimamanda Ngozi Adichie, the bestselling author of ’Americanah’ and ’Half of a Yellow Sun’, based on her 2013 TEDx Talk of the same name. What does ”feminism” mean today? 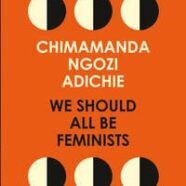 That is the question at the heart of We Should All Be Feminists, a personal, eloquently-argued essay – adapted from her much-viewed Tedx talk of the same name – by Chimamanda Ngozi Adichie, the award-winning author of ’Americanah’ and ’Half of a Yellow Sun’. 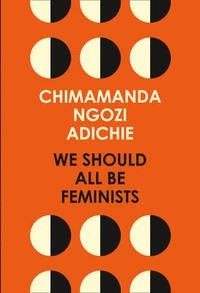 With humour and levity, here Adichie offers readers a unique definition of feminism for the twenty-first century – one rooted in inclusion and awareness.